Fleishman supports LGBT+ platform, Liquid's Levi's LFC campaign, wins for Elevate and Stature, and more from PRWeek UK. Stature PR has won a new client win as part of Stature Blockchain Projects. Luno is a global cryptocurrency company with more than two million customers in 40 countries and a team of over 250. Headquartered in London, Luno operates across Africa, South East Asia and Europe. Stature PR will provide UK and European PR, supporting Luno as they aim to grow usership and awareness across the territories. Kat Kalinina, global head of PR at Luno, said: "We were really impressed with the approach Stature PR took during the pitching process, they showed a great understanding of what we would like to achieve and demonstrated that they have the skills and experience to help us do so. We really look forward to working together in the coming months." Harrods Estates, the real estate offering of Harrods, has appointed Elevate PR to handle their PR. With three offices in Central London, Harrods Estates specialise in luxury property. Elevate PR managing director Chanel Bailey commented: "We are so pleased to welcome Harrods Estates to our growing client base. The iconic global brand is an exciting addition and we are looking forward to working closely with the Harrods team to deliver exceptional results and press coverage." Elevate PR will commence PR activities from 1st November. The Public Relations and Communications Association (PRCA) has opened a new business centre for PRCA Members. The centre will be based in the PRCA’s UK offices, within walking distance from Borough and Southwark stations and will be open weekdays, between 9am and 6pm. The centre offers seating, power banks, and direct access to PRCA resources, along with food and drinks facilities. Private meeting rooms can also be provided upon request. "We’re always looking for new ways to offer our members more, be it access to online resources, training from renowned industry voices, or, in this case, a physical space from which to work from," PRCA director general Francis Ingham said. 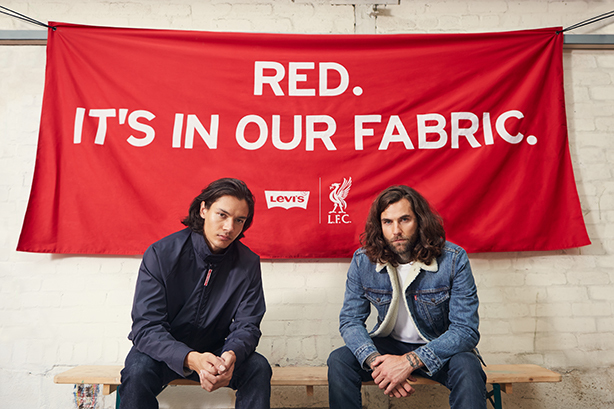 Iconic denim brand Levi’s has appointed Liquid Agency to lead the creative campaign promoting a new product collaboration with Liverpool Football Club. Liquid, based in Liverpool, was appointed following a competitive pitch, having previously worked with both Levi’s and Liverpool Football Club on individual projects. Designed for fans who want to "show their colours" whilst maintaining their authentic sense of style, the new collection features Levi’s products with premium LFC touches and sign-offs. From conceptualisation to launch, Liquid was tasked with creating a campaign that captured the shared community values between the two brands whilst promoting the exclusive product collaboration . FleishmanHillard Fishburn has formed a pro-bono partnership with Thomson Reuters Foundation to support an impartial LGBT+ news platform for a global audience. Work on the news platform began in January 2018 and involved a five-strong team at the agency to create the name ‘Openly’, as well as developing the brand identity and global campaign support for launches in New York and last night in London, on ‘National Coming Out Day’. The event featured a keynotes from Academy Award-winning director Dustin Lance Black on the role of the media in reporting on LGBT+ people. ‘Openly’ aims to fill a critical gap in the market, bringing high-quality LGBT+ news to the widest possible audience, one which includes non-LGBT+ readers. Published stories will reach all Reuters media clients, live on a dedicated digital portal as well as reaching a daily audience of 1 billion via Thomson Reuters distribution model.